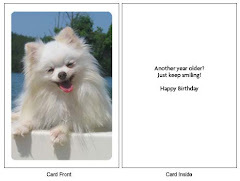 "Enjoy! 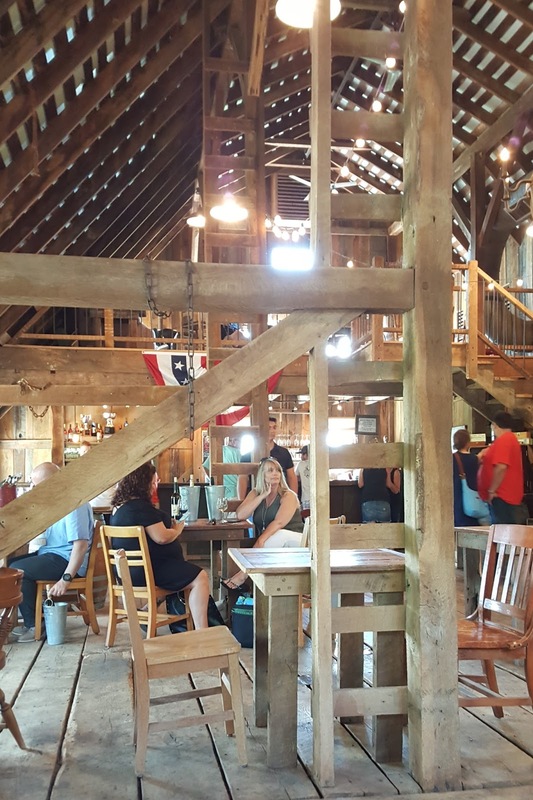 It's a barn and we're just as unpretentious as it can get." among The Barns award-winning wines. 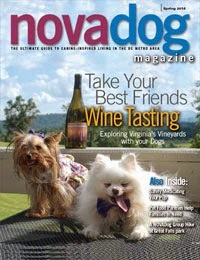 When Ecco decided to take the northern route (Route 7) out to Virginia Wine country, the destination was obvious. It was time for the Wine Dogs to explore The Barns at Hamilton Station Vineyards, winner of the 2017 Governor’s Cup (read The Governor's Cup Finds a New Home). 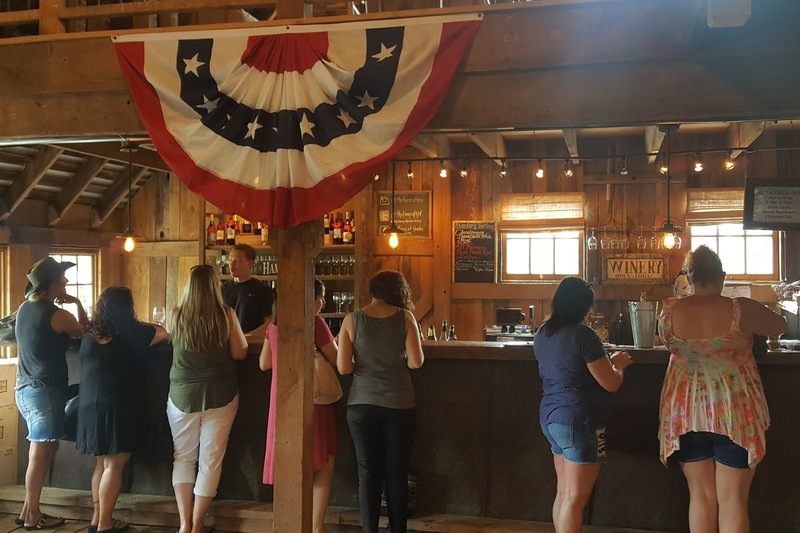 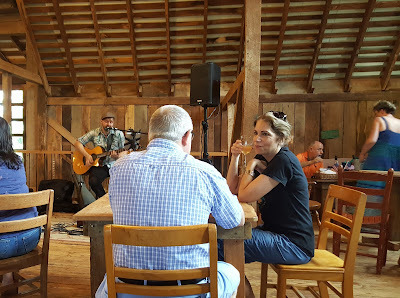 A 1910 dairy barn creates the setting for a comfortable and inviting tasting room. 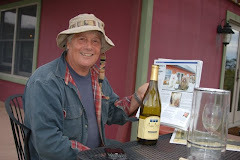 Andrew and his wife, Maryanne purchased the property around 2010 with a winery in mind. 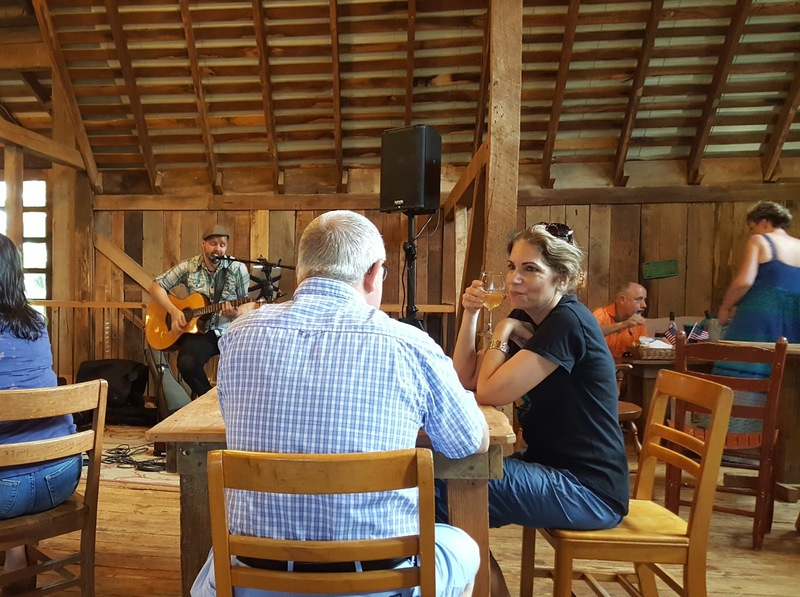 After a career in intelligence, Andrew, who grew up working his uncle’s ranch in Idaho was ready for a change. 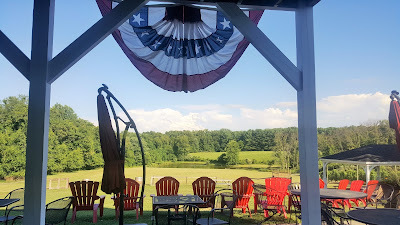 Call it the Green Acres syndrome. “I’d just love to get on a tractor,” he decided. 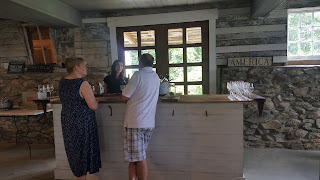 A small tasting room in the cellar (where the dairy cows used to reside) serves as a venue for larger groups visiting The Barns. It opens out to a patio and expansive lawn ending with a retention pond (new vines will be going in behind the pond in the future). Upstairs where tractors and farm equipment were once housed is the main tasting room, abuzz with activity. 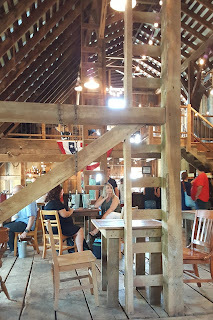 The old barn structure offers unique architectural perspectives and a treasure-trove of antique farm pieces. 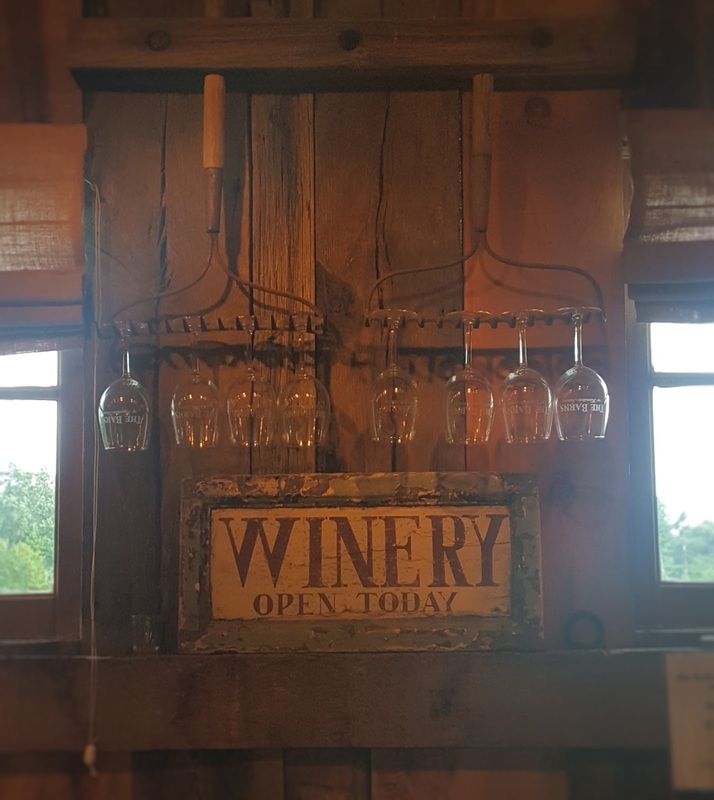 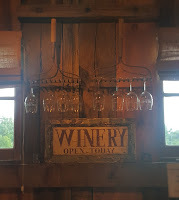 Be sure to check out the wine glass rack, created from old rakes. 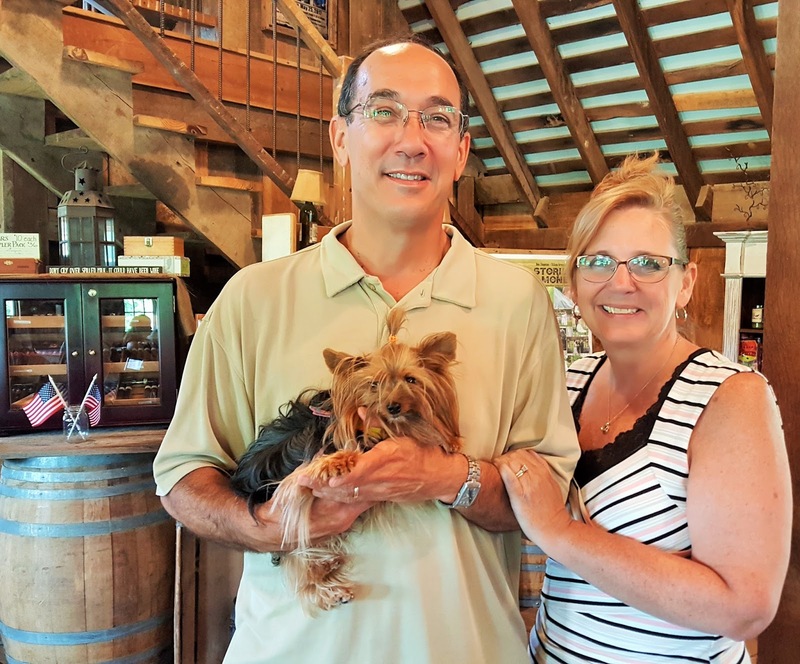 The Fialdinis put their life savings into the enterprise, and Andrew feared he had lost it all when the 2011 harvest came in (it was a challenging year across Virginia). 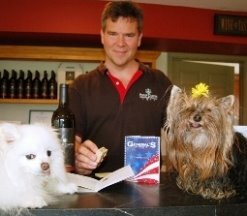 But business has been building progressively since opening thanks to some smart business decisions. 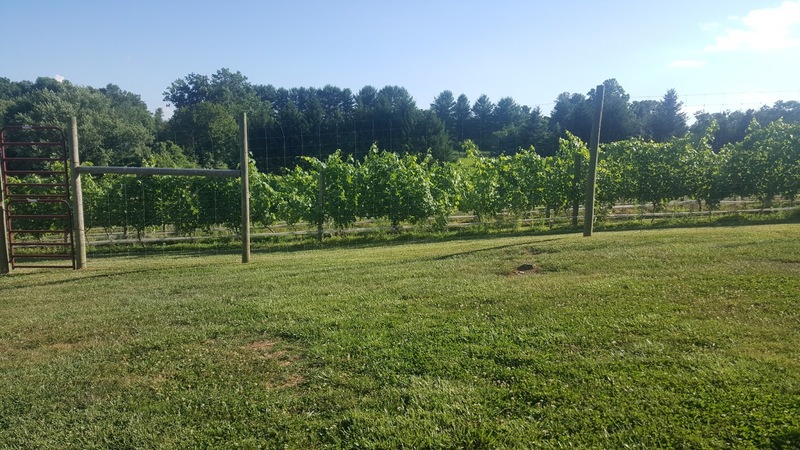 Grapes come from 80 acres of vineyards spread across the state, offering insurance against Virginia’s unpredictable grape-growing climate. 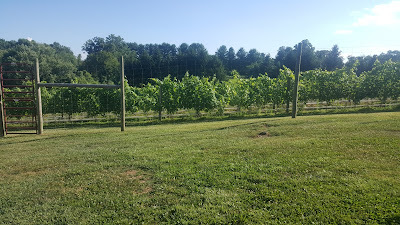 This year, he two acres of vines on the property (Petit Verdot and Viognier) were green and lush, basking in the July sun. 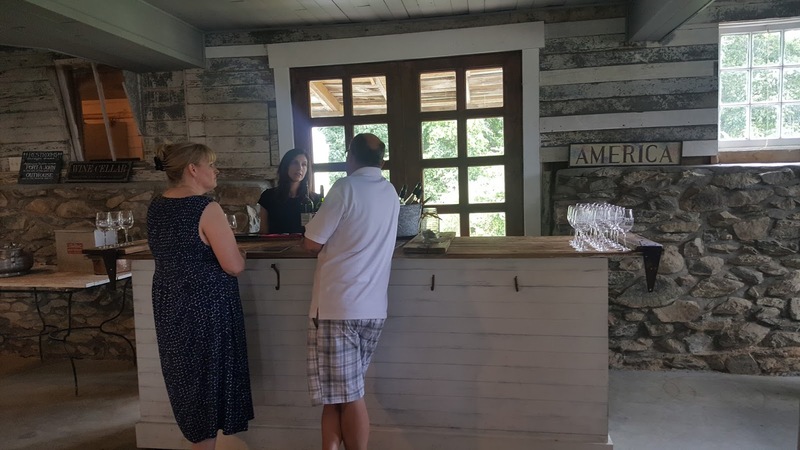 The wines at The Barns are top-notch, thanks to a partnership with acclaimed Virginia winemaker Michael Shaps. 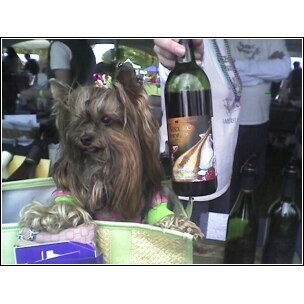 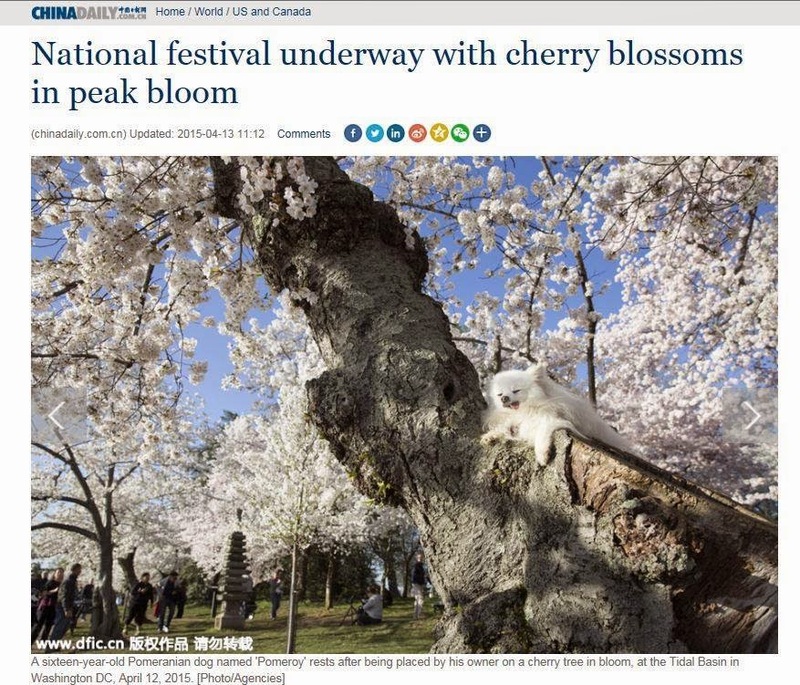 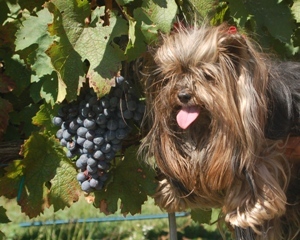 Through the 10-wine “Extensive Tasting," there wasn’t a dog in the bunch. 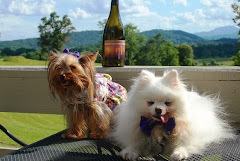 Ecco was particular to Bliss (a white blend designed for weddings; a max of 25 are hosted on the property each year). 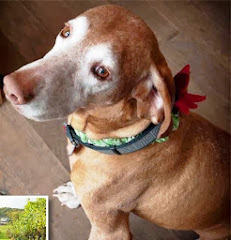 She also gave two paws up to the 2014 Merlot and the 2014 Malbec (the winemaker used a unique approach, fermenting the grapes first in tank and then aging in neutral oak). 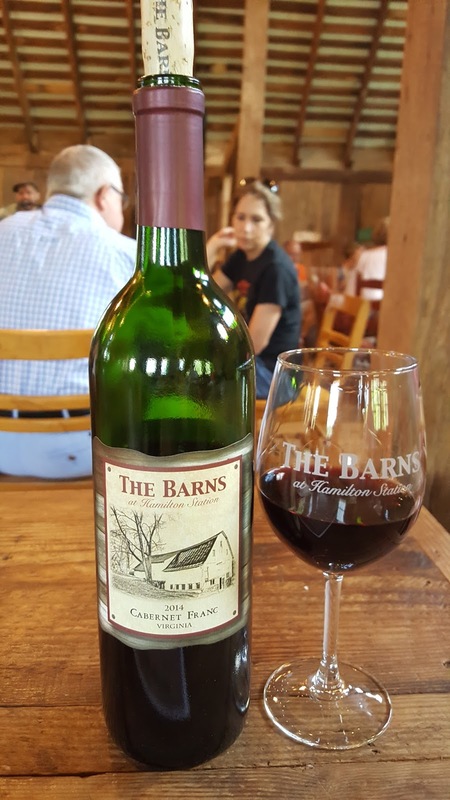 The Barns is a boutique winery, producing about 3,800 cases per year, and Andrew intends to keep it that way. 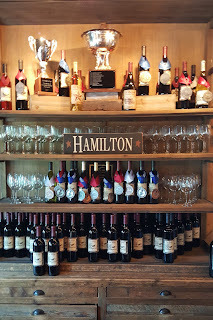 Wines are sold exclusively through the tasting room and on-line purchases, with the Case Club forming the base of the business. 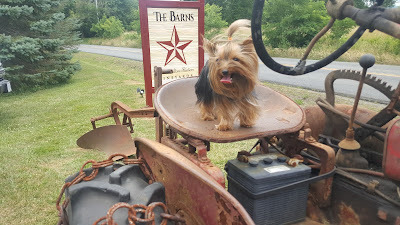 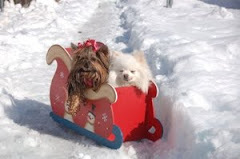 And yes, The Barns at Hamilton Station welcomes dogs across the property – as long as they are on a leash attached to a human.